We were visiting Rome for a game the Pope initiated: The game of Peace. Great players like Maradona, Totti, Crespo and Davids attended the game and slipping through security we came across all these great players at the dressing rooms. We were looking for a few guys and one in particular and suddenly there he was: Ronaldinho. We’ve made him a special Barcelona shirt as a gift as he was announced global ambassador of the club. He was really pleased with it and showed it off to the guys in the dressing room. Then we met another hero Juan Sebastián Verón and Bojan Krkić who used to play for Ajax. 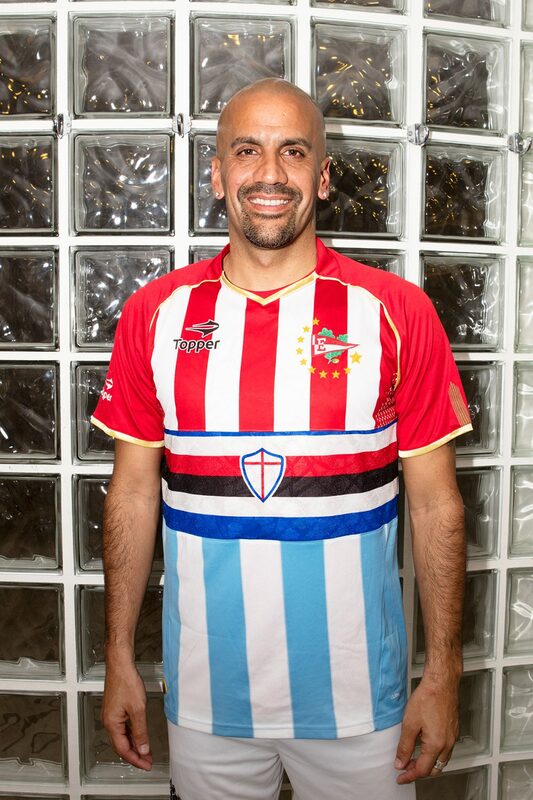 We gave Verón a shirt with Estudiantes, Sampdoria and Argentinia which he was happy to wear. 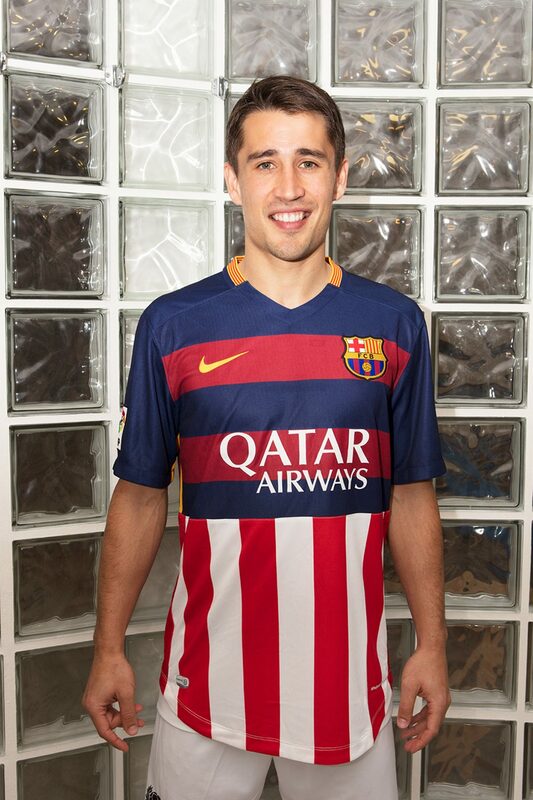 Bojan wears a Barcelona and Stoke shirt. Ok and we visited the Pope, made him a shirt and were blessed!